Find free classified ads for Short term rentals for sale and to buy in United Kingdom. Shown below are classifieds for Short term rentals. Please use search box above to find other items in Short term rentals United Kingdom or look at the United Kingdom for neighboring places in the locality. We offer a wide selection of flats to rent and serviced apartments in Canary Wharf for short and long term stays. At thesqua.re, we have numerous studios, one bedroom and two bedroom apartments with WiFi, concierge, parking and gym facilities. Book Today. For more information, please visit at: https://www. Find 54 premium four star corporate and luxury Fitzrovia Apartments, London for short term; long term stays. At thesqua.re , we have numerous, studios, one bedroom , two bedroom apartments with WiFi, concierge, parking and gym facilities. Book Online Now. For more information, please visit at : https://www. There are several apartments in Mayfair in London that you can rent for a short or long term visit, but very few Mayfair houses indeed. Carlton Court owns a five bedroom ambassadorial residence right in the heart of Mayfair which has been furnished without regard to cost. It even comes with a separate parking space for your limousine, and you can book it for short or long term visits. Carlton Court provides the very last word in luxury serviced apartments in London, Mayfair. Located in Down Street, just off Piccadilly, there are five incredible apartments in Carlton Court sleeping from two to as many as six people. Furnished with impeccable taste, the apartments have fully fitted kitchens, king sized beds, air conditioning, high speed broadband, full time on-site management, satellite TV’s in every room, an electronic safe, and 7 day maid service as standard. If you are looking for a Mayfair serviced apartment you have a choice of five at Carlton Court which is centrally situated just off Piccadilly. Luxuriously furnished, each apartment has king sized double beds, a fully fitted kitchen with washer, dryer, and dishwasher, and plenty of reception space. Every room has the latest TV set, and the apartments all have high speed broadband. If you need a Mayfair serviced apartment you can do no better than Carlton Court in Down Street. You have a choice of accommodation for two people up to as many as six in one of the five apartments. All have fully fitted kitchens, bathrooms, and all the luxury refinements that you cannot get anywhere else. Mayfair luxury apartments to rent are available at Carlton Court in Down Street. Situated within a few minutes’ walk of the very best shopping London has to offer, Carlton Court also provides 24 hour concierge and security services, lifts to all floors, and all the apartments have reception rooms, fully fitted kitchens, and bathrooms. 29, Brick Street is a five bedroom house to lease, Mayfair, Central London. With four floors there is an amazing 4, 000 square feet of space and the house has been furnished with the greatest of taste as you would expect. It enjoys high speed broadband throughout, and every room has the latest TV with up to 2, 000 channels in a wide variety of languages. Carlton Court offers Mayfair, Central London serviced apartments for between two and six people. Situated in the heart of Mayfair, the apartments have been furnished without regard to expense and have a 24 hour concierge and security. They are within walking distance of London’s finest shopping in Knightsbridge, Oxford Street, and Piccadilly, and if you enjoy the fresh air Hyde Park is almost opposite. London serviced apartments, Mayfair, are available to rent long or short term at Carlton Court in Down Street. Luxuriously furnished with no regard to cost, these apartments have a concierge and 24 hour security. There is a choice of a one bedroom penthouse for two people, a further one bedroom apartment, a two bedroom duplex for 3/4 people, a two bedroom deluxe for 4 people, and three bedroom flat which can take 5/6 people. If you are looking for houses in Mayfair, London, to rent look no further than 29, Brick Street. This ambassadorial town house has five bedrooms and there are four floors with a total area of a massive 4, 000 square feet. The owners also own Carlton Court which is just around the corner and visitors have access to all the benefits and security of the apartments there. Carlton Court provides boutique apartments, Mayfair, London for the discerning visitor to the city. Situated centrally in Mayfair, the apartments are within walking distance of the best shops London has to offer in Oxford Street, Piccadilly, and Knightsbridge. Restaurants abound, and there is plenty of nightlife, bars, pubs, and theatres and cinemas to hand. Amazing warm 2 bedroom’s flat for short let in Bayswater, Queensway, Central London, w2. This 2 bedroom flat is located in 2 mins distance from Bayswater and 2 more mins distance from Queensway tube station. This provides a fantastic base for people visiting London. This spacious 2 bedroom flat which gives you comfortable sleep up to 6 people, with a nice lounge decorated contemporary furniture, and also it offers 6 seater dining suite in a separate dining area and a further separate kitchen. If you are looking for offices in Congleton, Congleton Business Centre provides a range of services to businesses including serviced office suites, virtual office, mail forwarding, call answering services, company formations, registered office, website development, app development and photocopying. Our offices in Congleton are open to the general public and existing tenants of our office suites. We are providing the SMART Board SB885ix 87? Multi touch interactive whiteboard around the UK through AV Rental Services. Check out the prices : Previously £3599. Now £1995. 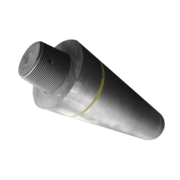 Visit for more : https://www.avrentalservices.co.uk/product/sb885ix/. 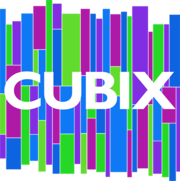 Cubix offers modern air-conditioned two, four and six person serviced offices in Luton as well as a creative hot desking space available by the day. Designed for the business of the future, Cubix is the flexible office space with a difference!. Montenegro? Budva?Cozy 2 bedroom apartment, 40m, 5 minutes to the beach, 15min to the beach Becici, opposite the "Mega Market" Walking distance to shops, boutiques and restaurants, to the bus station 10 minutes, the apartment is fully equipped with everything necessary for a comfortable stay. A range of Windows and Mac Laptops options ror Hire typical rental reasons for laptops include training sessions, product and brand launches, registration areas, break out rooms, assessment rooms and class room set ups to name a few. 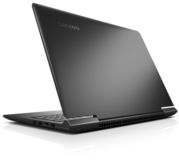 Offering a wide range of laptop specifications to suit any requirement. Single or double room 4x3meter available from this month . Sharing 4 bedroom house with 2 Chinese lady one English guy call 07510120534 is perfectly located to:5min walk to Canada water tube (Jubilee line & overground)5min walk to huge Surrey Quays shopping Centre Gym with swimming pool across the road 5 min walk to parks and gardens bus c10 381 outside the door 50 metersnear London bridge Bermondsey Surrey Quays New Cross Elephant & Castle Canary Wharf Rotherhite next to Thames riverside Your room is £100 per week plus 10 pounds bill short term is £140 per week from 1 day to any length like hotel Room comes with double bed wardrobe and chest of drawers, shelving, TV FREE-VIEW, video satellite bike pc internet fax printer copier. 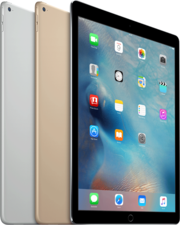 One World Rental offers an extensive range of iPad Tablet PC for short term hire. With global capacity to fulfill short term requirements to have over 2300 iPads at a single event makes One World Rental are an exclusive partner where our stock answer is always..
Take a look at the Cheltenham Racing and Festival Accommodation offered by Watermark Cotswolds on a short term stay basis. Here you can enjoy luxurious living facilities such as self-catering lodges and apartments by the waterside. For more information, please visit us at: http://www.watermarkcotswolds. Magnificent shop in the heart of Mayfair for a full 15 months @ 15, 000£ per month to move in now. all facilities bar , surround sound system, shutters, cctv cams, projectors on both floors Ideal for Start up popup shop art gallery previous clients Fendi, Stella McCartney, Michael Kors, DVF, Rimmel, Coty. Beautiful double room to rent in an amaizing modern house, to share with just 2 other people. We are looking for 1 person or a couple willing to share this incredibly outstanding house full of space and light, located in East Acton just few min away from the Tube station, and just 4 bus stops away from Notting Hill Central London. International Exhibition Opportunity! One week in London & Two weeks in Paris! SERVICES INCLUDED IN THE PRICE: -Full service exhibition including transportation between London and Paris -Opening cocktail reception in both London and Paris -Filming and Photography of your opening event -500 full-colour, double sided invitation cards for you event. Art gallery, white space, showroom, exhibition space espace, white open space, prestigious art gallery, showroom and popup shop, short let space gallery art gallery in the heart of London Mayfair, West End, Soho, Close to Bond Street, Regent Street, Sotheby’s – International art galleries, Prestigious space galleries to hire for rent for hire London Paris, Centre of London, Centre of Paris. Artist Representation – Exhibition opportunity for young emerging new artists. Art Galleries Europe is looking forward to hosting your next art exhibition or private event in London! This magnificent art gallery in the heart of London’s Mayfair district, equipped with such amenities as a sound system, bar and air conditioning, is available to be hired out for short and long term projects. Price : 5850 £ / week Location: London Mayfair Paris West End Art gallery, white space, showroom, exhibition space espace, white open space, prestigious art gallery, showroom and popup shop, short let space gallery art gallery in the heart of London Mayfair, West End, Soho, Close to Bond Street, Regent Street, Sotheby’s – International art galleries, Prestigious space galleries to hire for rent for hire London Paris, Centre of London, Centre of Paris. United Kingdom free classified ads for Short term rentals, United Kingdom, Short term rentals free ads United Kingdom, Short term rentals for sale United Kingdom, Short term rentals to buy in United Kingdom. 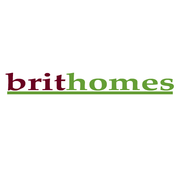 This page is a listing of classified ads for Short term rentals category in United Kingdom. This section includes classifieds for sale and to buy in United Kingdom. Short term rentals United Kingdom ads United Kingdom, Short term rentals classifieds United Kingdom, Short term rentals free ads United Kingdom, ads for sale United Kingdom, ads to buy United Kingdom, FREEADS in UK. Find here ads for sale, to buy and rent in United Kingdom. Goods for sale in United Kingdom, vehicles for sale in United Kingdom, United Kingdom real estate for sale, United Kingdom property for sale, property for rent in United Kingdom, business ads in United Kingdom, United Kingdom business classifieds, services in United Kingdom, United Kingdom services ads, jobs in United Kingdom, pets for sale in United Kingdom, United Kingdom dating, United Kingdom cars for sale.